The Penn State Master Gardener Pollinator Garden is located in West Fairmount Park near the Japanese House on the grounds of the Horticulture Center. Previous blog on the garden This year the garden is tended by 7 Master Gardeners and 3 recent graduates from the Master Gardener program. The garden has undergone a major renovation in the last year and has been joined with an adjacent orchard planted in the fall that will benefit from the pollinators. The selection of plants include native plants that support local bees, wasps and butterflies and a few non native plants. 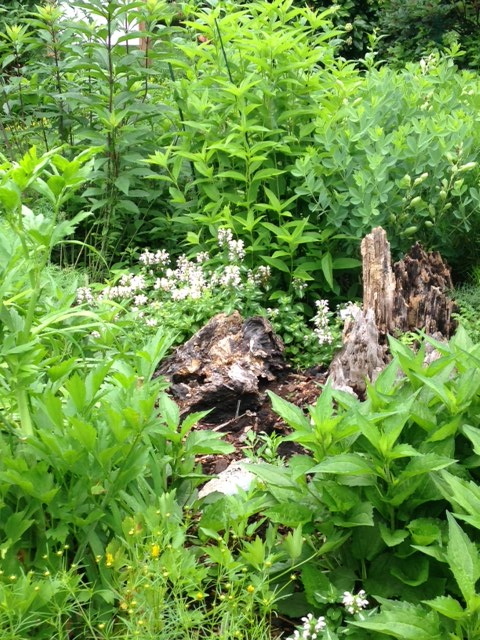 Non native plants will be replaced in the future and this garden will be mainly a native plant pollinator garden. 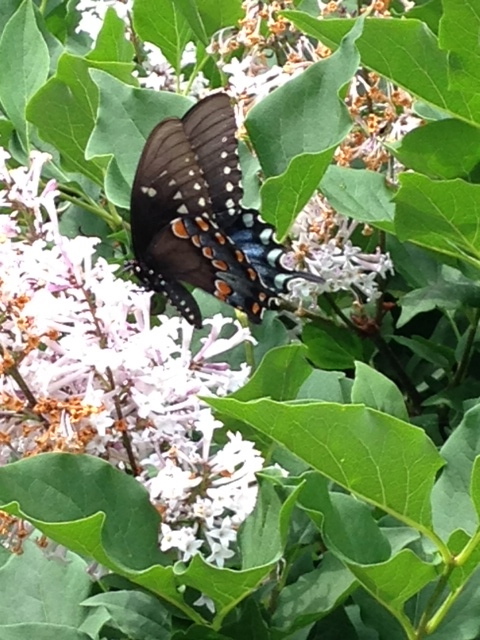 In May, the Eastern Swallowtails and the Black Swallowtails love our two large lilacs. Starting in mid May the bumblebees feed on Nepetas and Amsonias. 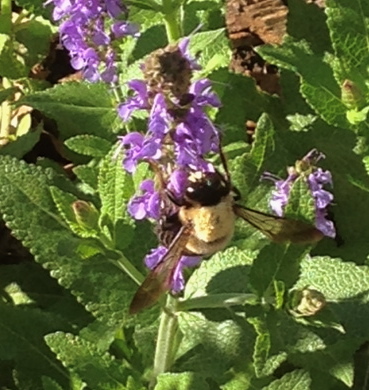 In June they moved to feed on the Salvias. They will progress to summer flowering perennials. We have seen a few honeybees which is encouraging given their plight from disease. 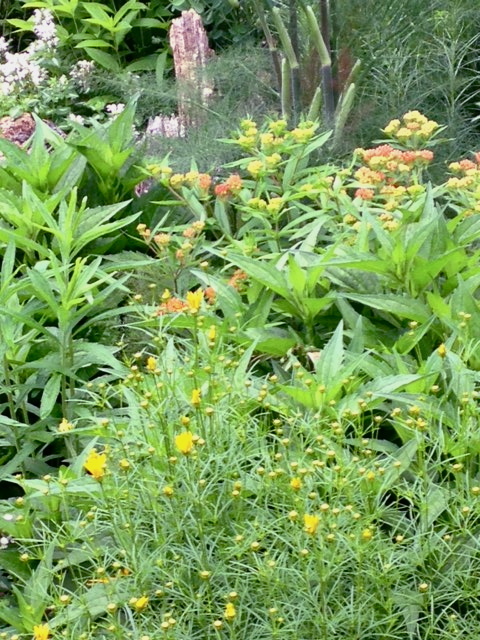 Host plants such as dill, parsley, fennel and lovage for caterpillars have been included in the planting. They can be found in the center of the garden. 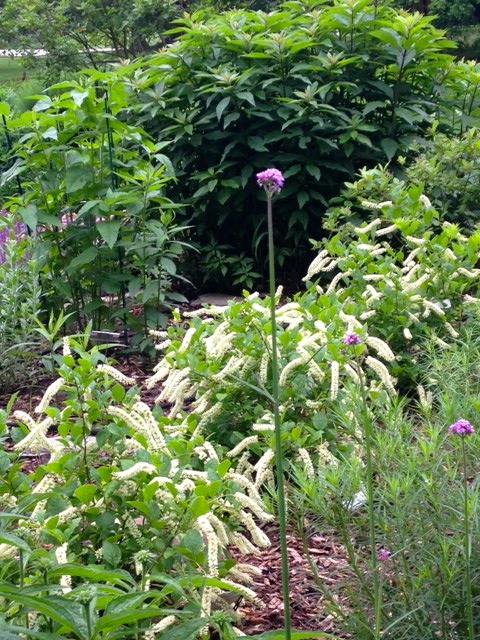 As more of the perennials bloom the garden should become a wonderful place to see the butterflies and bees at work. More photos and updates to follow. If you are in the area of the Horticulture Center, come and visit. 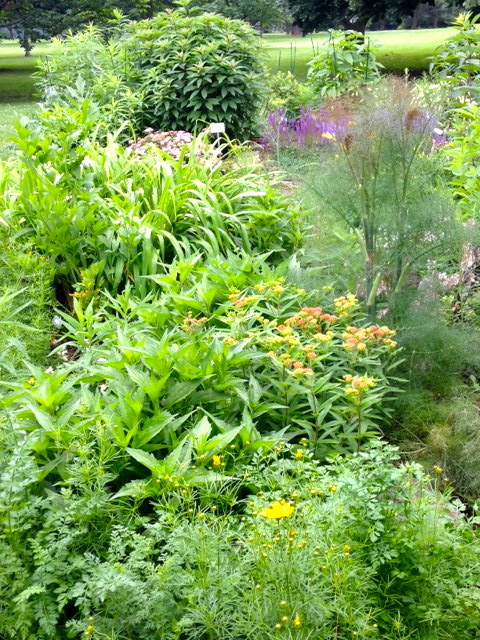 Coreopsis verticilata & Asclepias t.